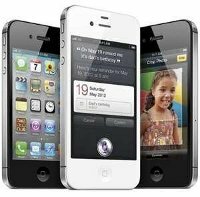 The Smart-phones listed below are the best Smart-phones to use with WordPress. The fear of having an out of date blog is a thing of the past. Bloggers will now be able to keep everyone informed and all blogs in check with the help of these WordPress.com apps for their Smart-phones. Keeping in touch just got easier. Apple has forever been a popular Smart-phone, and there’s plenty of reasoning as to why. Apple has always kept with the hottest trends, and working with WordPress is no different. If there is an iDevice involved, then any WordPress user will be there. The WordPress app allows users to update their blog, post new pictures, and manage their comments all from the comfort of the nearest coffee shop from their iPhone. Not only can they access WordPress from the app itself, iPhone users can also use their browsers to go to WordPress.com themselves. iBlogger is another great addition to the iPhone WordPress relationship. iBlogger lets the user manage their blog with amazing ease. Compatible with the iPhone, iPad, and the iPod Touch, iBlogger will keep bloggers forever at their blogs without the need of a clunky PC. Another easy way Apple and WordPress allows bloggers to keep in touch with the world of blogging, is with BlogPress. BlogPress is able to keep up with the popular mainstream blogs without missing a beat. The users are able to blog as if on an actual computer compared to a mobile phone with the basic abilities of writing, editing, drafting, and posting pictures with complete ease. The WordPress app for blackberry is compatible with versions Bold, Curve, Storm, and even Pearl, so staying committed to a blog has never been easier. 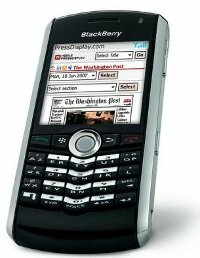 Not quite as fancy as Apple’s apps, but the WordPress app for Blackberry allows Blackberry bloggers to update, manage comments and pictures like a champ all from the palm of their hands. Bloggers are also able to manage their blogs from WordPress.com or with the new WordPress 2.5.1 and the MU 2.6, so blogging at home will be a thing of the past. Android lovers are not left out as WordPress loves all forms of updating blogs. WpToGo lets WordPress users manage their blogs from their Android smart phone with multiple tabs up and running. The super special features allow users to upload full size pictures, save blogs as a draft, and even create customizable thumbnails. A great application for bloggers to use while on the go. PostBot lets WordPress users post on the traditional WordPress website from their phone or from the app itself. It’s never a bad thing to be able to keep up with a blog while spending a day out with the girls. Bloggers who are running through the WordPress blog sites will be happy to know that their blogs will never be without a dull moment. Mobile phones are keeping them in touch even when the Pc is far from their fingertips. So even if the blog is about school lunches or which cupcake shop has the best cupcakes; the blogs will always be up-to-date. WordPress is looking out for their bloggers, so their bloggers can keep the world on its toes. So get out there and keep the world informed. The article is shared by William Taylor. William is interested in internet technologies, cloud computing and web development. Visit his site for support services and online support. This entry was posted on Tuesday, February 7th, 2012 at 11:50 pm and modified by WebMaster View on Friday, March 21st, 2014 at 10:13 pm. You can follow any responses to this entry through the RSS 2.0 feed. Responses are currently closed, but you can trackback from your own site. Super cool apps of wordpress for smartphones. Thanx for sharing such an interesting post. I was not aware of these wordpress apps. Now i must say that wordpress is the best choice for blogging. Good list, thank. It’s amazing how much WordPress has improved over the last few years, I really appreciate these tools.